When a young immigrant girl has to travel to a new country and start at a new school, she is accompanied by her Fear who tells her to be alone and afraid, growing bigger and bigger every day with questions like "how can you hope to make new friends if you don't understand their language?" But this little girl is stronger than her Fear. 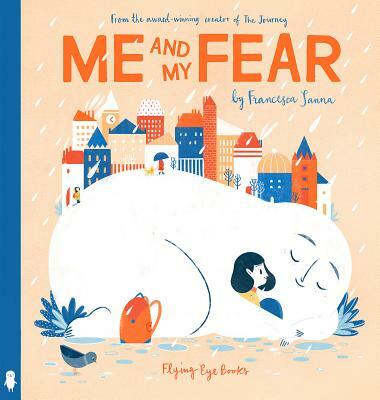 A heart-warming and timely tale from the bestselling author and illustrator of The Journey, this book shows us the importance of sharing your Fear with others--after all, everyone carries a Fear with them, even if it's small enough to fit into their pocket! Francesca Sanna is an Italian illustrator and graphic designer based in Switzerland. She graduated in 2015 from the Lucerne School of Art and Design with a Master of Design with focus on Illustration. Her first book, The Journey, was endorsed by Amnesty International, and garnered many awards and much acclaim. "[...] this creative depiction shows how friendship, empathy, and connection can help bring the overwhelming down to size for all." "[...] the pages get more colorful and the fears are contained within each spread to visually indicate to readers that fears are manageable and though they might not disappear completely, the most important thing is that we don't have to be scared alone."